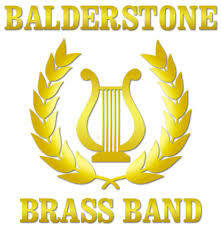 Balderstone brass band are pleased and excited to announce that renowned player, conductor and adjudicator Andrew Warriner has agreed to play and work with the band as musical advisor and mentor to MD Alaistair Greenhalgh. This shows that the band though struggling to fill up seats are working and moving in the right direction to achieve their aim of getting a full band once again. Andrew will attend regularly and also give help to players around the stand and to the conductor. This is a massive coup for the band which until last year had never contested in its 145 year history when they entered into the whit Friday marches and picked up a 1st prize in their entered section at Heyrod contest.